In this blog, I will provide answers to the Q & A for the Troubleshooting locking issues webinar. 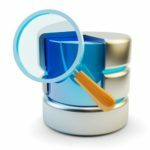 innodb_log_file_size, and how it can affect performance. innodb_log_file_size=10G with an indication that it might be too big? MongoDB 3.2: elections just got better! In this blog, we’ll review MongoDB 3.2 elections and how they work, as well as what is really new and different in the election protocol. Percona is glad to announce the release of Percona Server 5.6.30-76.3 on May 25, 2016. Download the latest version from the Percona web site or the Percona Software Repositories.